Remember when you’d take so long over an ice cream cone that rivulets would run down the side and pool in the bottom, and pretty soon you’d be frantically trying to contain the mess? No? Only me then? 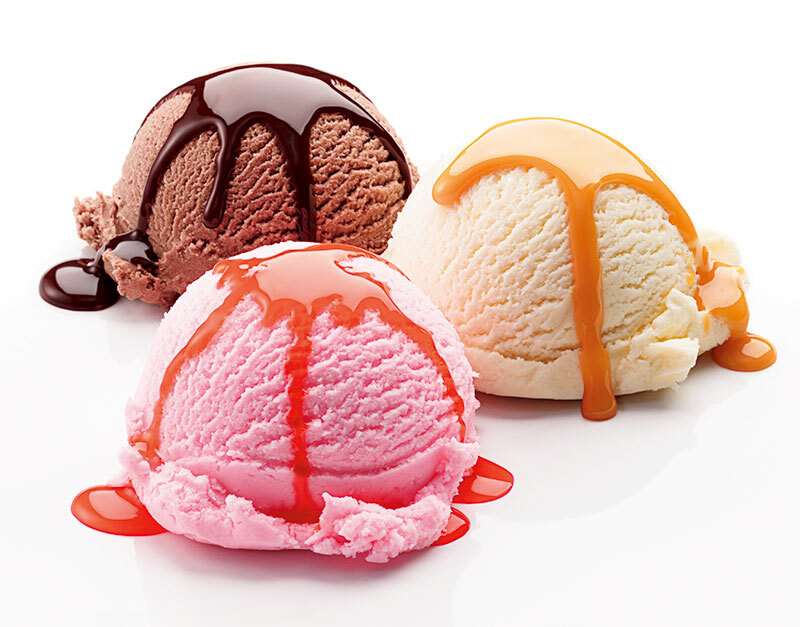 Everyone has a childhood memory of a halcyon day prominently featuring a puddle of melted ice cream. Our regular waiter at Bengaluru’s original Corner House outlet would always ask my grandfather why I persisted in ordering “Toothpaste flavour ice cream, saar?” – perhaps just to perplex him. Despite having tried many versions of mint chocolate chip ice cream over the years, the Corner House offering remains my favourite. Now I live on a stretch of road where my only cuisine options are cupcakes, frozen desserts or shawarma. When the great gelato invasion of 2006 happened, this little stretch had the first store in Mumbai. Soon other gelaterias and frozen yogurt shops sprang up, and with all the cool kids opting for these exotic new wares, the humble ice cream was lost. The return to favour may have been slow but it’s certainly very successful. International brands like Häagen-Dazs, London Dairy and Mövenpick have been making their presence felt, but fine dining establishments and local manufacturers have also gotten in on the act, and we’re not just talking about chain parlours either. Even the Mother Dairy brand has been moved to revamp their packaging and flavours. Indigo Deli in Mumbai, long known for their homemade gourmet ice cream, launched a sundae station last November, where, interspersed with old favourites dulce de leche, butter pecan and rocky road, you can find offerings like lemon curd, lemon and basil, and blueberry and mint. And while the mention of a sundae brings to mind a retro vision heavily inspired by Archie Comics, the Indigo Deli sundaes are anything but dusty – toppings include chantilly cream, brandy-soaked caramelised banana, sour cherry compote, and batter-fried Mars bars. 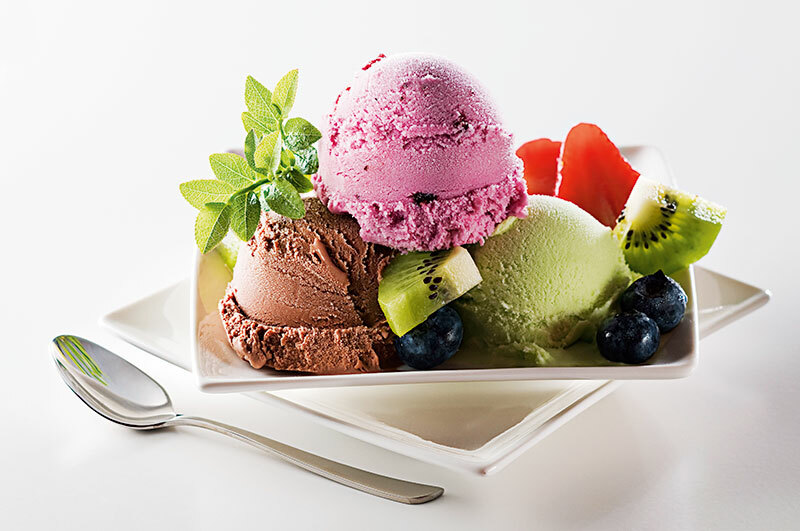 Recently-opened restaurant The Sassy Spoon is fast becoming a favourite among friends for the eclectic offerings – strawberry and jalapeno, black forest, basil and pine nut and Hoegaarden ice cream are all made in-house in small batches. Diabetics aren’t left out in the cold either – the strawberry and balsamic flavour is divine. The SKKY Lounge at The Ramada Hotel in Powai too works with small batches, not crossing over a couple of litres of any flavour, but in keeping with the venue’s USP, all the flavours are entirely natural and seasonal. The chefs also found that adding chunks of fresh fruit to the mix, instead of simply blending it in, added greatly to the taste. While the rose petal and coconut, strawberry and mint, and pineapple and ginger with a hint of mint are all delicious, the kiwi and basil flavour is simply stupendous. The acidic kiwi lends itself more easily to a sorbet, but the absolute freshness of the ice cream at the SKKY Lounge makes it possible. It’s not just the exotic blends of flavours that are popular either. 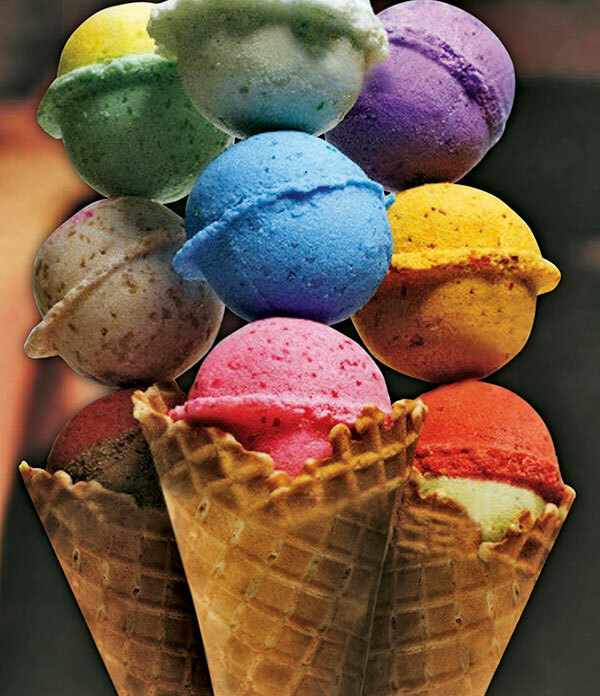 The paan flavoured ice cream at Ice Cream Works and The Punjab Grill, both Mumbai-based chains, is exceedingly popular. 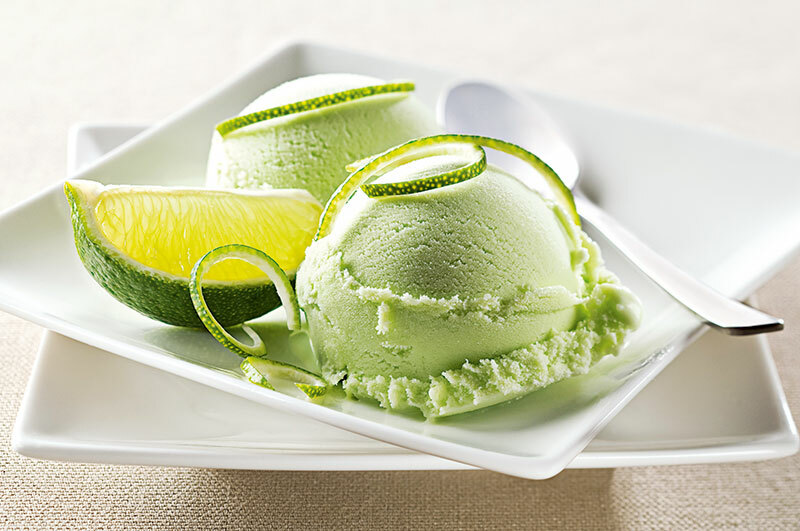 The SKKY Lounge serves a deliciously complex version that is their most popular ice cream, along with the green tea flavour. Bengali weddings seem incomplete without the nolen gur ice cream that has become de rigueur over the last few years. Not too long ago it was fair to bet that the ice cream at fine-dining venues was outsourced, but now places like the newly launched The Pier restaurant in Colaba are promoting ice cream, if not as their raison d’être, then about as close as it gets. When Corner House debuted a new flavour last August, my cousins and I made a date to go try it out. The caramel crunch ice cream was absolutely delicious, but still couldn’t displace the flavour that made my childhood. So keep your frozen yogurt and gelato, but leave me my humble mint chocolate chip.